Baton Rogue, the capital of State of Louisiana, is situated on the banks of charming and beautiful Mississippi River. This city, also popularly called as Red Stick, can be considered as one of the best places to relocate. The real estate of this city offers different types of Baton Rouge apartments, single family homes, and condominiums at affordable places. It does have a strong economy supported by many thriving industries, such as oil refineries, iron industries, petrochemicals, and film and television industry. This historic city boasts of many factors that make it a good place for families to settle and children to grow up. There are many well-known and good quality schools, colleges, universities, research facilities, and museums in this area. It also has many recreational facilities, including a water park and an amusement park. Several apartments in Baton Rogue provide top-rated amenities and facilities. Moreover, there are many locations in and around Baton Rouge that have various types of quality homes and Baton Rouge apartments for rent or sale. There are a number of apartments near the Jefferson highway. Look no further for great Apartments Baton Rouge LA, other than Maison Bocage near Jefferson Pl Cir. These spacious apartment homes are conveniently located minutes away from The Botanic Gardens, Baton Rouge Country Club, Bocage Village Shopping Center and Baton Rouge Community College. It offers three highly desirable, lavish floor plans that afford the best of comfort and elegance to meet any lifestyle. 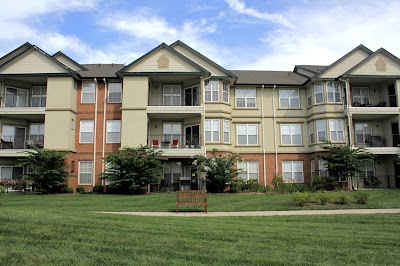 Our marvelous two and three bedroom floor plans come with many great amenities that include a microwave, dishwasher, air conditioning and more. Wood burning fireplaces, patios, and 9Ft ceilings are some of the amenities offered by these flats and these flats are the perfect place to unwind. These Apartment Rentals Baton Rouge LA feature more amenities & it is a great community suited for your active lifestyle. Relax with family and friends by taking a dip in the shimmering swimming pool, walking to the beautifully landscaped grounds or enjoying the wonderful clubhouse. Call or come at 7827 N Jefferson Pl Cir, Baton Rouge, LA 70809, USA and find out for yourself why our community is the only place to call home in Baton Rouge, Louisiana.